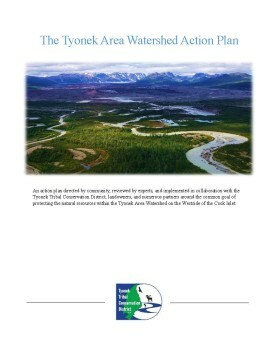 This action plan, completed in 2016 through funding from the US Fish & Wildlife Service Tribal Wildlife Grants program, is directed by community, reviewed by experts, and implemented in collaboration with the Tyonek Tribal Conservation District, landowners, and numerous partners around the common goal of protecting the natural resources within the Tyonek Area Watershed on the Westside of the Cook Inlet. 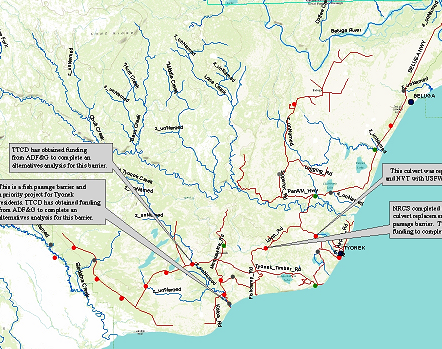 This document guides much of the TTCD’s future monitoring and restoration efforts. In 2012, TTCD received funding through the USFWS’s Alaska Coastal Program and the Tyonek Native Corporation to develop a Natural Resource Assessment and Project Implementation Plan for TTCD. This plan, completed in 2013, identified a wide range of potential habitat improvements and helped TTCD develop many partnerships. 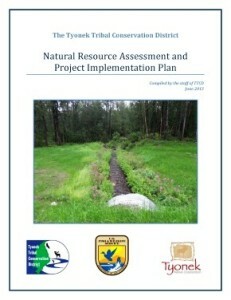 In this document, projects to address natural resource concerns were outlined and prioritized.